Rowan Glen Butter and Cheese to Crown Any Toastie! 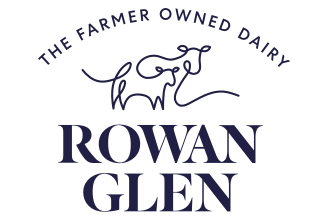 Our Rowan Glen dairy range is one of the most popular brands in Scotland. Don’t just take our word for it – The Scottish Grocer magazine cites Rowan Glen as one of the ‘top 50 most loved brands’ in Scotland. We take our reputation for quality dairy products seriously from the creamiest yogurts to satisfy everyone in the family, to delicious cheddars and moreish butters, Rowan Glen is the true family favourite for all dairy occasions.